It seems like Hilary Clinton has been in the political spotlight forever. She was the first lady, she was the senator of New York and she was the Secretary of State under President Obama. She led an unsuccessful bid for the White House in 2008, and now, in 2016, her chances of becoming the first female President of the United States have never looked better. Here are some things you might not know about this political frontrunner. 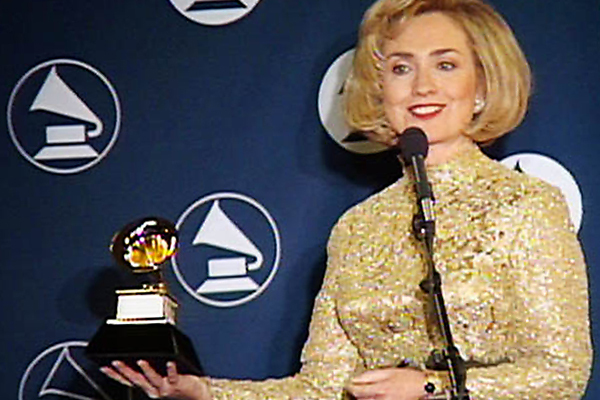 Hillary Clinton won a Grammy in 1997, but it was not for singing or rapping. She won for Best Spoken Word Album for the audio version of her book “It Takes a Village.” She is not the only politician to have been given this honor; President Obama has also received a Grammy for Best Spoken Word Album for his book. In fact, several politicians have won for Best Spoken Word Album for their books.